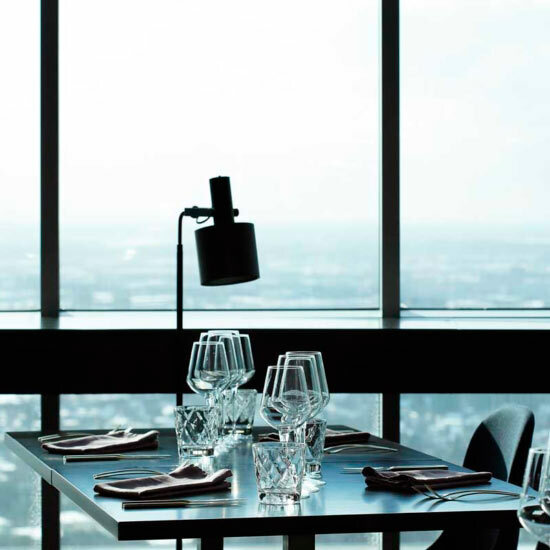 The current Tallinn TV Tower restaurant was opened at the end of 2017 with a brand new look. The former fine dining restaurant on the 22nd floor was replaced with a casual dining restaurant which has a small café for those who do not have the time for a longer visit. The interior design reflects an 80s atmosphere as a reminder of the times when the tower was built. The view is an experience on its own and is worth enjoying in any weather. As a bonus, visitors to the restaurant can enjoy the balcony situated on the same floor and a chance to appreciate breathtaking sights while waiting for their meals. The menu focuses on regional flavours, supporting local small businesses and stressing traditional Estonian cuisine. This is reflected in the menu’s seasonal approach and a drink card that explores an exciting variety of what Estonia has to offer. Head chef Mihkel Kalbus started working in Tallinn TV Tower restaurant after a long term position in restaurant Farm. Local, fresh produce, the simplicity and wisdom of Estonian cuisine and well considered flavours form the basis of the head chef’s cooking. The restaurant is family friendly, but this does not mean a children’s play room. The TV Tower restaurant has a healthy children’s menu and is dedicated to making its young guests feel welcome. Children should also have a pleasant dining experience, allowing them to get used to restaurants. To us, family has great meaning. The restaurant is owned by two sisters who both have three children of their own and our everyday work involves the whole family. We are in every sense a family restaurant. While the weather remains warm, the restaurant runs a small section on ground level as well. At the foot of the TV tower lies the KUPPEL (DOME) lounge where you can enjoy tasty crépes, burgers straight from the grill and summer drinks. KUPPEL also holds cozy wine evenings with music and concerts every Wednesday at 19.00.